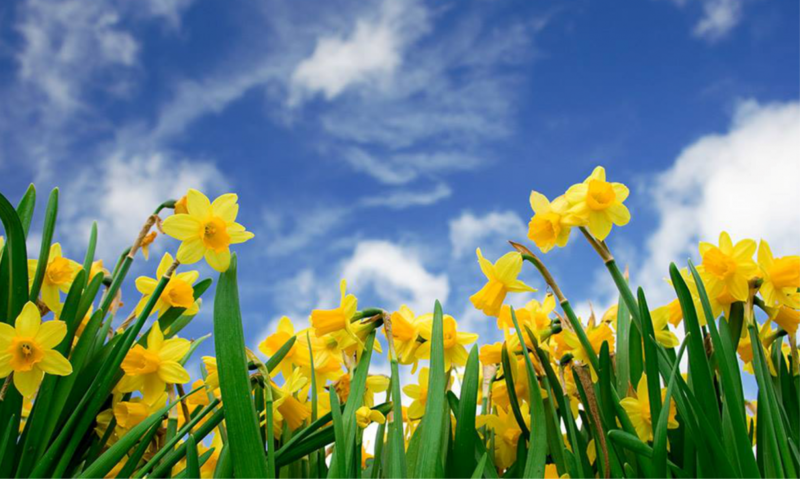 With the month of April coming to an end and May is nearly now upon us, there is a distinct feeling of Spring being on its way. Mention the word, Spring, to me, and it conjures up images of lambs in the meadow, sunshine and holidays. Oh yes, definitely holidays! For the majority of people it is equated with feeling happier, especially those whom suffer from SAD – Seasonal Affective Disorder. For most people, the Spring months have numerous benefits to be enjoyed and experienced. With warmer and brighter climate, we naturally spend more time outdoors. Being exposed to the sunlight has been proven to lighten mood and also it encourages the best of us to become more active. Walks in nature are also a very beneficial source of feeling good and increases the endorphins in our bodies to give us a boost to help keep anxiety and depression at bay. We are less likely to crave carbohydrate foods and comfort eat when we are not feeling cold or with reduced light hours, which lends to making healthier food choices, lessening our sluggish moods and puts a spring in our step giving us a feel-good factor. We are likely to become more sociable, than in winter months, (apart from the Christmas parties and celebrations) when after work all you want to do is go home and hibernate in the warmth. The social interaction with people we enjoy being around impacts on us feeling happy and well. Our internal body clock is affected by the sun and we produce less serotonin as a result. This is the feel good hormone that helps to regulate mood. We need less sleep as darker days also affect the levels of melatonin, which is the hormone that impacts our sleep and can cause fatigue, anxiety, hopelessness and depression. Spring is also the perfect time for new beginnings and giving your home a spring clean. Not only will it give you a cleaner house to live in and enjoy but clearing out old clutter can be a very therapeutic process physically as well as emotionally. Removing old, unwanted items you find collecting dust in darkened cupboards or where you can see it each day, creates new space for new energy. You can also donate your unwanted items to a chosen charity which produces a feel-good factor. You may decide to gather enough old items together and have a car boot sale. Earn some extra pennies and these could be put towards a holiday, or another occasion to look forward to. It’s a win win! Warmer weather also encourages us to wear less clothing, so it could be the ideal opportunity to lose any excess weight gained over the winter months. Let a summer holiday be the goal to inspire you to create improved eating habits and inject more exercise into your daily routine which in turn will look after your mental health. It could also be a time for a change or to form other new habits you have been procrastinating on starting or trying over the winter. Take time to consider what really inspires you and brings you happiness – and go and do that! Counselling can help you break free from feeling stuck in your everyday life, exploring your thoughts and feelings in a safe non-judgemental space, allows you to find your own way forward on what needs to or what you ideally would like to change in your life.